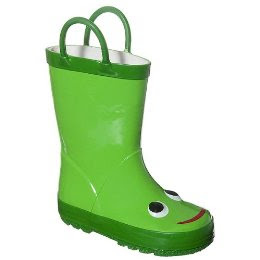 Having just spent our first delightfully rainy spring back in the Northwest, these darling rain boots are up near the top of my wish-list right now. To have a fullness of joy, I would really need a pair for myself and one for each of the children. 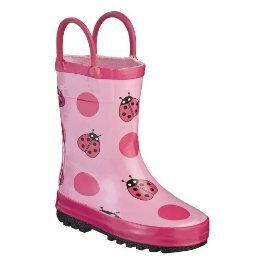 Oh, the puddle jumping we could do! 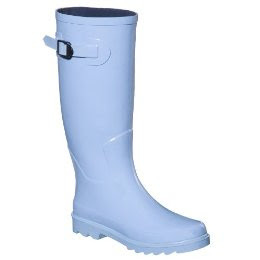 Visit Target.com (search: rain boots). Good luck choosing just one pair -- there are dozens of cute ones. Rachelle just gave us some hand me downs from her boys, including those darling green boots. We had so much fun the other night after a rain storm. Picture Ethan in his Batman costume, cape and all, sporting the green boots, running down the sidewalk. It was so funny.